I'm wondering who has used the foot peeling masks and how you liked it? I'm a little bit scared of it!! But oh man do my feet need it! Thanks. @@Krystyn Lowe I wore mine for 90 minutes and it took 8 days before I saw some action on my feet. My feet did peel, but not in that dramatic fashion where it would peel off in one big chuck. My feet were disgusting looking for several days, and I had to wear socks during this time, because of the peeling. However, once they started peeling, I used a foot scrub twice a day and then put oil on my feet before putting on my socks. I even wore socks to bed. That seemed to hurrying the process of peeling and therefore, it was over in about 3 days. It did remove the worse of my hard skin, but there are a few calluses that I think would take a few more treatments before those are worn down. However, I am waiting for sock weather (cooler months) before trying this again, just because it is too hot to run around with socks on right now. I just tried that choosy Lip scrub in peach milk, its more like a lip balm instead of a lip scrub... anyone else notice that? yes..I am not fond of it because it is so waxy and the grains of sugar are really fine. I put in on my lips & then just move my lip together and then rinse off. So I tried the spray hair removal that came in box #12 yesterday. To me it is similar to Nair except that it doesn't smell as bad nor is as sticky. Basically I did two kind of application on my legs. On one of my legs I would spray a few pumps and spread it around my leg, as if you were applying lotion except you still leave a good enough thin layer to cover the hairs. On the other legs, I literally spray it on my legs to cover the entire legs so it definitely had a thicker layer as compare to the other leg. I left it on for 5 minutes and then use the wooden spatula and slide it down the legs with the products and hairs coming down to my feet. It removes my hair completely and was actually moisturizing even after I rinse off after removing. i didn't apply lotion afterwards (because im lazy) and even now, my legs does not look ashy at all...it feels soft and moisturized..and i have super dry skin (body wise) so this is a good sign. I haven't tried it on other body parts yet though.. maybe i'll try it on my lips hair. LOL. only down side is that if you were to literally to spray it on pumps after pumps after pumps (like i did on my 2nd leg), there wouldn't be much left. so i think imma just spray and spread since it works the same. Don't be afraid! I only wore mine for an hour, and my feet started peeling 3 days later. Of course everyone will have a slightly different experience. My feet didn't peel like the photos show, and they still have some rough spots, but that's nothing another session can't fix! However, I very highly recommend waiting to use the mask until fall unless you usually wear closed toe shoes. Your feet will be a hot mess. I just used it yesterday and I actually really like it! My lips have been chapped for awhile now and after using a very small chunk of it, my lips felt so smooth afterwards. I just got a pea sized chunk and rubbed it on my lips with my finger. It was quite oily and dense but it works so I'm all good. Thanks for the feedback about the foot peeling mask. I'm gonna drive in tonight since I have to wear closed toed shoes for work and wear socks with some thick cream most night it won't be that bad, I hope. My husband might wig out a bit, but, eh...who cares! It lathered fairly easily, and the scent was not as strong as I anticipated. It left my skin feeling slightly dry afterwards, but I did notice that my pores did appear to be slightly smaller! 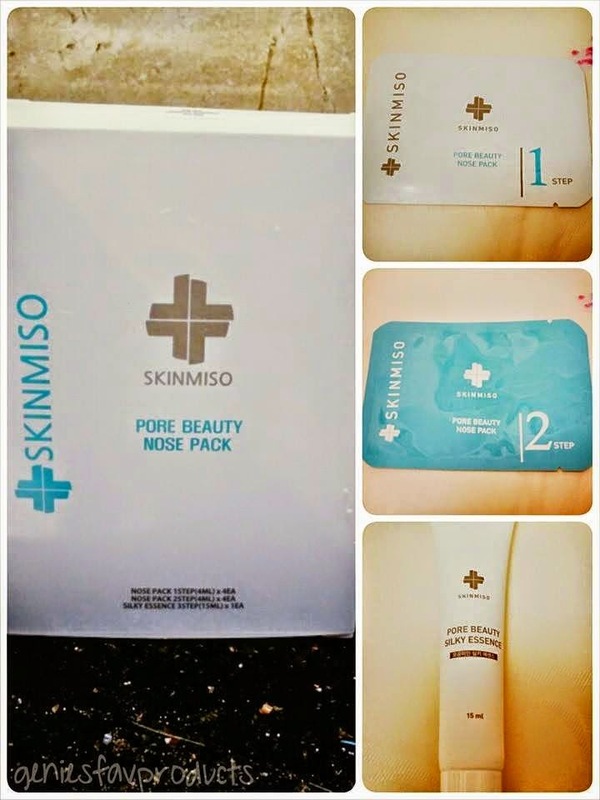 Our Holy Grail Product!!! Step 1 Mask enables all the dirt and blackheads float to the top of the skin's surface, allowing you to remove them easily using a blackhead extractor!!! Step 2 Mask tightens up the pores, and Step 3 leaves your nose matte and oil-free!!! I didn't have any milk at home, so I used New Zealand's Manuka Honey instead, however after mixing it, I realised that it was slightly too thick, so I added in a teeny weeny bit of Jurlique's rosewater to water it up a bit. I also couldn't find any oatmeal at home except for the "Oats for Rice", so I soaked the "Oats for Rice" in hot water for a few minutes before draining it and using it for my mask. After looking like an Egyptian Mummy for 15 minutes (I couldn't stand it any longer, and I'm so glad hubby wasn't home to see this! 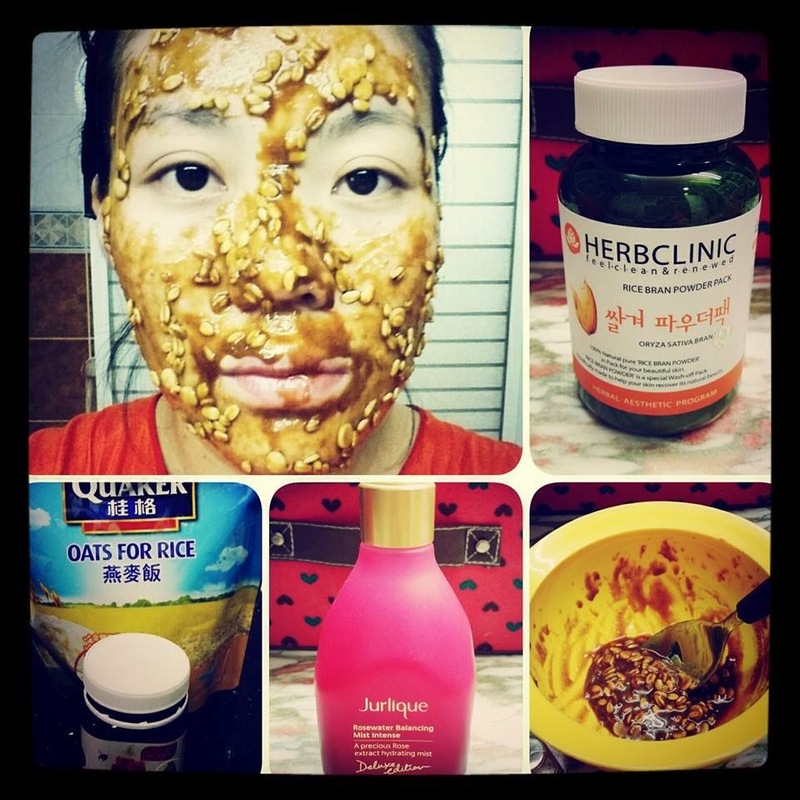 ), I wiped the oats off my face with tissue, and I washed off the mask with warm water using my cleansing sponge. I did realise my face to feel a lot smoother, but it was definitely a very messy experience - I think that's why they suggested using milk (although it would still be quite messy with oatmeal/black beans/brown rice dropping off)! If I were to use it again, I'd need a lot of time and patience, because unlike face sheet masks, I can't walk around or do anything else without the mask dripping off my face! 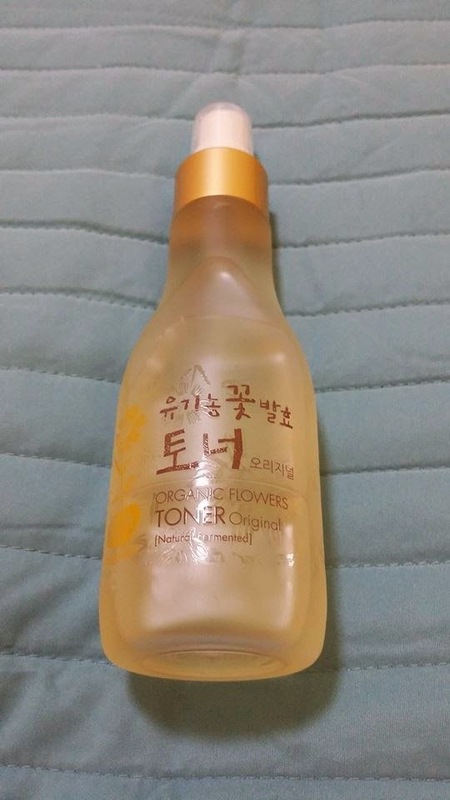 I purchased this toner because again, it's natural! It is a spray-on toner, and it absorbs very quickly into the skin! I love the smell, and it's very hydrating! Although it's named as an essence on the bottle, it is actually more of a serum, and that's how I've been using it as. 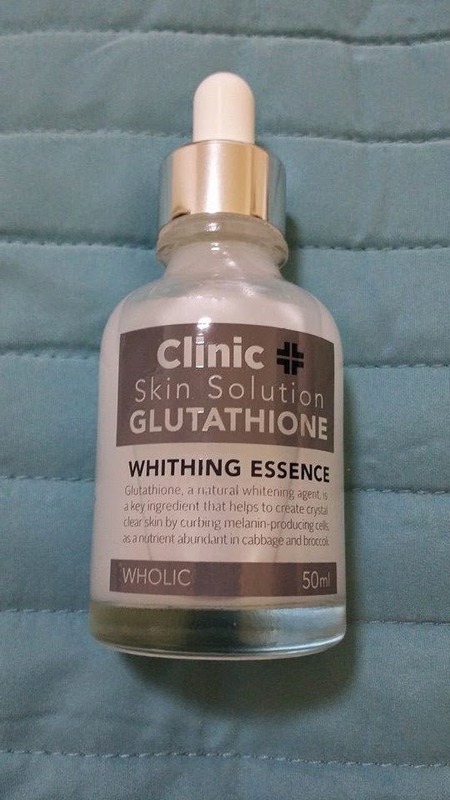 I've been using this for a few days now, but I haven't seen any obvious whitening results yet. It doesn't absorb instantly, so it does leave a slight sticky feeling on my face afterwards, but I will continue to use up the whole bottle. This feels dry and almost crumbly, but once you warm it up with your fingers, it becomes very silky and smooth, and it's very easy to apply. 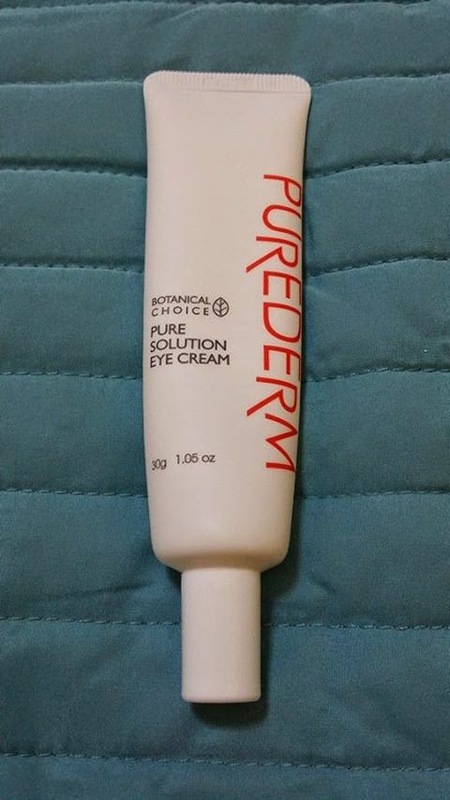 It didn't seem to do much by itself, but when I use it with my Purederm Botanical Choice Pure Solution Eye Cream, I have realised that my dark circles have instantly become lighter when I wake up in the morning! I only use this at night, as it doesn't blend in too well with some of my skincare products for the daytime. 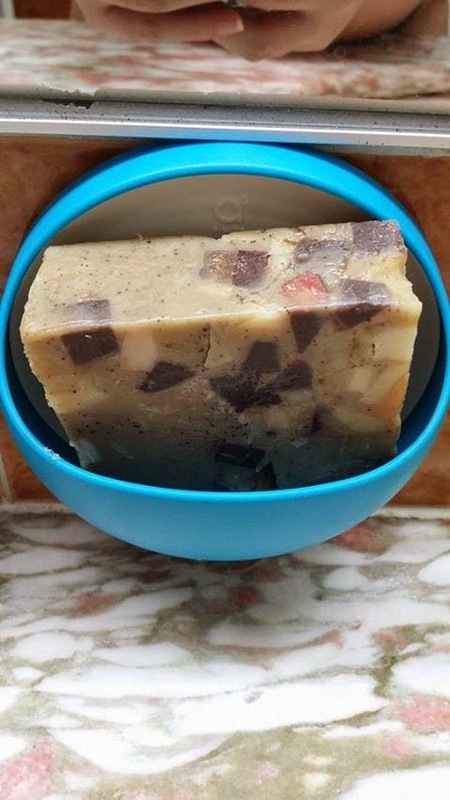 It is faintly scented, and it doesn't irritate my skin! 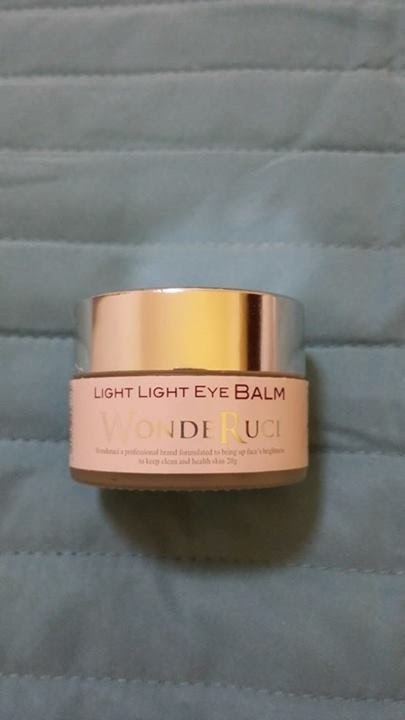 This eye cream doesn't do much by itself, but when used with my WondeRuci Light Light Eye Balm, I have noticed that my dark circles have significantly become lighter when I wake up in the morning - it's amazing because I've tried so many other eye creams, and nothing does the trick! The other good thing about this eye cream is that it comes in a huge 30ml tube, and it really does last a long time!!! This is in the form of a gel cream, and it absorbs very quickly into the skin! There is a citrus scent, but it's very relaxing and soothing! I have realised that it helps to soothe irritated skin, as well as tighten pores! It's also very hydrating and easy to use - perfect for the summer months! LOL That herbclinic looks like fun? So I just had to hop in here and mention Hope Girl mascara. I tried the 140 Super Lash. Now, I have to admit that Hope Girl doesn't seem too awesome to me. It seems cheap. So I was not expecting ANYTHING good from this mascara. I have to eat my words now. This mascara is wonderful! It's not a volumizing mascara, it's a lengthening one. And it delicately lengthens with absolutely ZERO clumping. ZERO! No flaking. NONE! And I applied three coats both times I used it. The first time I did one eye three times, then the other. Perfection. So the second time, I decided to see if it clumped if it dried in between coats and alternated eyes while applying. Perfection again. And I slept in my Hope Girl mascara. Woke up in the morning. Check myself in the mirror. Not a single smudge, not a single flake, no raccoon eyes. I'm probably one of the only people who couldn't stand that Choosy Lip Scrub. It did nothing for me besides leaving behind a layer of residue on my fingers and lips. I scrubbed away for about 3 minutes, but my lips came out as bad as they did going in. I ended up just throwing it away. I liked it because my stupidly sensitive skin doesn't like harsh scrubs. I can understand your frustration though. I am not a huge fan of it either, because it is very waxy and just reminds me of a grainy lip balm. However, I am determined to use it. My lips are actually in good shape in the summer, so this might be one that I use when I don't need a deep exfoliation on my lips. I will use my own DIY lip scrub in the winter. Maybe you could heat it a little bit and add some sugar to the mix so that next time it's more scrubby. I'm glad you like the idea, let me know if it works for you. I am IN LOVE with the SN-T Plant Stem Cell Cream from the From Nature box. I've been using it for three days and it's cleared up some stubborn acne, reduced the oil level on my face and reduced the size of the pores on my nose. It's like my wonder product - and it's even cheap enough in the store that I'd be willing to pay shipping. This stuff is definitely my HG summer moisturizer. You guys,after a deluge of 10 boxes, I haven't gotten a box in the mail since the first week of JUNE! That is resolve. Of course, I'm all amped up because round two is on it's way and I have 8 more coming between now and October. 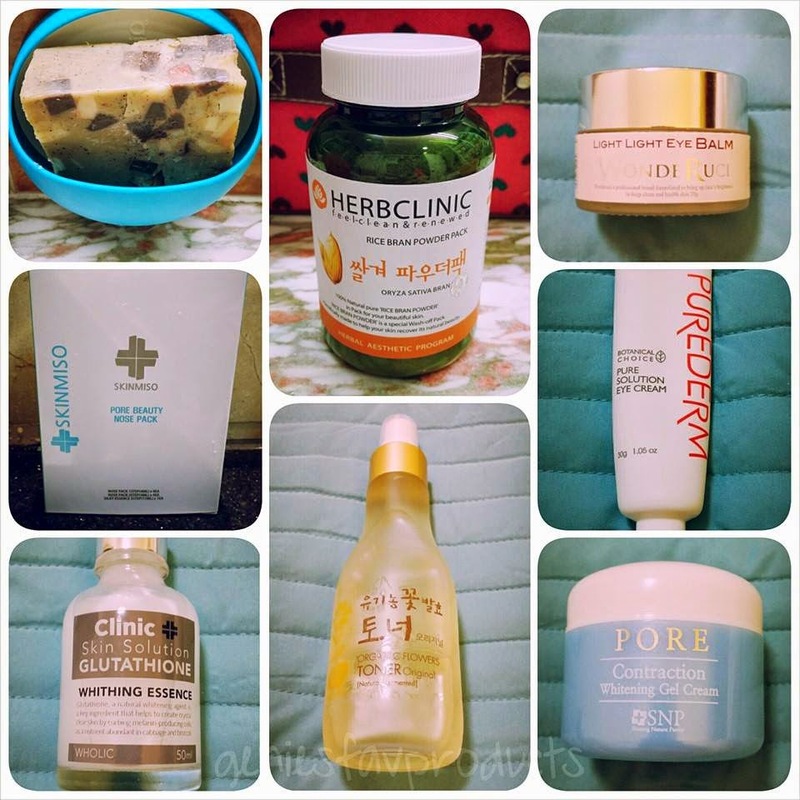 So I thought I'd do some reviews of the products I've been testing in the last few months. Just like everyone, I love this stuff. Just like everyone, I'll never buy it because it costs $6000. I think the dropper packaging is stupid though, it's too thick for that, and it's going to be impossible to get it all out of the microscopic vial. OK, these guys are funny, sure. But I just don't get it. #1 - they really don't fit on my fingers - either way too big or way too small. Of course, the silk worms don't exactly make these to order, so whatever. #2 - I just think there are much better exfoliating methods out there that are less effort. 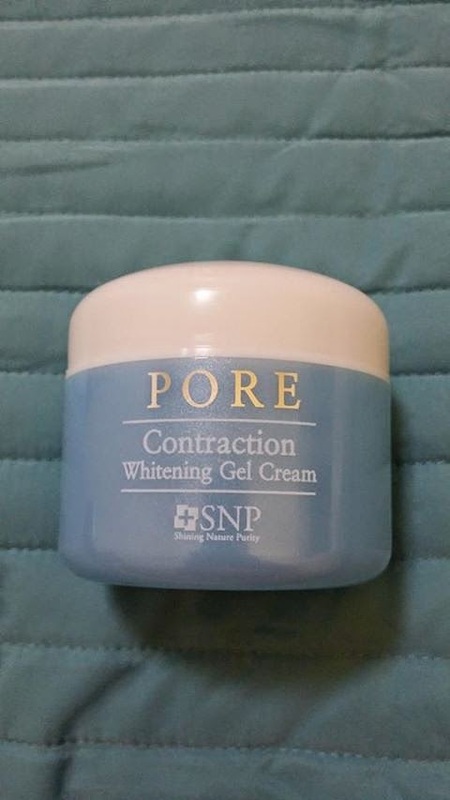 -Just started trying this out, lighter texture than the 7 cream and less moisturizing. I like it so far but it kind of stings a little on application for some reason. -I don't find this as effective as honey/sugar DIY scrubs but it still works for a gentler scrub I can do more often. The scent is not very strong and it smells a smidgen odd to me, but nothing intolerable. I think the peach might have smelled a bit better, haha. -Sorry, I don't remember the name of this. I threw away the product card so I don't remember if this is a mask or a deep conditioner but this stuff is fantastic! It makes my hair silky smooth, shiny and seems to diminish the appearance of split ends/damaged hair. -I liked the texture of this- it absorbed pretty quickly into the skin and was quite moisturizing. I didn't notice any major differences in my skin though in terms of diminishing hyperpigmentation. I've kept using it and am almost finished it. Yes this! I love this stuff and it only takes a tiny bit to cover my face. It certainly will last FOREVER. PureSmile Non-Silicon Conditioner (Snail #1) - amazing, leaves my fine hair tangle-free and very silky. I will definitely purchase more when it runs out. EGF Elensilia Eye Cream (Snail #1) - finally, an eye-cream that actually does something for me. I've used it for at least a month now, and it decreased my eye wrinkles and bags. Waay better than the Dr. Jart's eye cream. LJH Tea Tree Essence (Luckybox #2/#4) - HG product for me, use it every night, great for oily skin and trouble spots. Inter-cos Hair Removal Cream (Memebox #12) - It worked, didn't smell too terrible, and didn't burn, so it's better than most other creams I've tried. I used it on "sensitive" areas, and it was still awesome. Palan Organic Hair Essence (Memebox #12) - I have seriously damaged hair, and this makes my hair soft and touchable. Calmia Roobios Aqua Sprinkler Gel Cream (Herbal Cosmetics) - 5-in-1 skincare! Awesome for when I've cleansed my face but I'm feeling way to lazy to complete any more steps. Spray and you're done. The Skin House Snail System Cream (Snail #1)- it's mostly snail slime, but perhaps too much snail slime- I can't even open the lid without slime strings getting everywhere. It's a 5-minute process just scooping some from the jar, and then it's hopelessly sticky on my face. Just no. Blacklees Nail Sticker (minibox #2) - I received teddybears...I can't even give these away. Dr. Jart V7 Eye Serum (Luckybox #2) - I'm not sure what this does, beyond basic moisturizing. I used it for 2 months and saw no difference, didn't work for me. I got this in the Luckybox...7? Or one of them. I thought it was making a difference under my eyes, but I'm starting to think it's not doing anything... I guess I was deluding myself into thinking it was helping, haha. All right, I just broke down and ordered some of that snail hair treatment off ebay. I swear, I haven't heard one bad thing about it!